THE next king of Eponia, António Campinos, will start his reign in a few weeks. Battistelli, according to lingering rumours, still hopes to make a ‘comeback’ as head of UPC (there are similar rumours about upcoming firings of somewhere between 700 to 1000 employees, probably not too long after Campinos takes over). 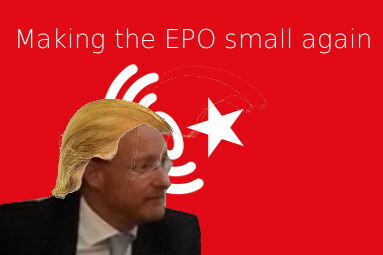 The EPO could be seen last night retweeting the IAM lies that it’s paying it to spread. One scratches one’s back and they swap positions interchangeably. IAM is setting up UPC advocacy events with help from the EPO’s PR agencies and direct support from Battistelli. Earlier this week, under “European Union, Spain, United Kingdom” in a patent lawyers’ site IAM was reposting its UPC propaganda. It’s being (re)published in other Web sites. The EPO must be very proud, having paid IAM for such patent lies.